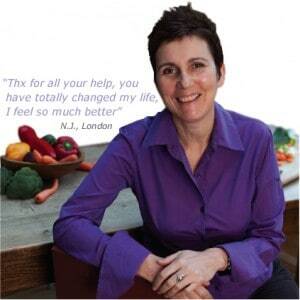 Joanna first became interested in nutrition while suffering from digestive problems and chronic fatigue. After following the advice of a Nutritional Therapist, she made a full recovery and now enjoy robust health and energy levels. Joanna was so impressed that she decided to retrain to become a Nutritional Therapist. In her practice, Joanna sees clients from all age groups who all have different health conditions. She is convinced that good nutrition is the backbone of health, and that the benefits of other therapies and treatments can be enhanced by eating the right diet. So she is particularly interested in Integrated Medicine. Joanna currently works in a medical practice alongside GPs and other health practitioners who refer their patients to her for nutritional advice. Since graduating she has completed further training in the relationship between nutrition and cardiovascular health as well as weight management.